Russia is concerned over Iran's possible withdrawal from 2015 nuclear Deal, Russian Foreign Ministry stated on Wednesday. Tehran's possible withdrawal from the 2015 nuclear agreement due to the United States' anti-Iran rhetoric would signal the failure of the international community, the Russian Foreign Ministry told Sputnik. Delicacy of Diplomacy: Is Russia Ready to Side With Washington Against Iran? Mikhail Ulyanov, the head of the ministry's Department for Nonproliferation and Arms Control, said "there are indeed concerns because we see rather harsh rhetoric from the US administration and Tehran's reciprocal tough rhetoric." "You ask if there is a threat of Tehran's withdrawal? I believe that such an outcome would be a major failure for the entire international community," Ulyanov said. The Russian diplomat pointed out that sanctions the US imposed on Iran last week create a "highly unfavorable climate" toward the further implementation of the Joint Comprehensive Plan of Action (JCPOA). Ulyanov also addressed US President Donald Trump's criticism of the JCPOA as "the worst deal ever negotiated." "Objectively, this agreement was and is, maybe not ideal, but the most optimal of the possible ways out of a very difficult situation. It is a reasonable and very delicate compromise." Iran, five permanent UN Security Council members, Germany and the European Union signed the JCPOA in July 2015 to ensure the peaceful nature of Iran’s nuclear program. Under the agreement, Iran pledged to refrain from developing or acquiring nuclear weapons in exchange for the lifting of sanctions imposed against Iran. A UN resolution was passed shortly afterwards, reaffirming the nuclear agreement. The Russian Foreign Ministry also added that Moscow is in regular contacts with Washington and Tehran to reduce tensions surrounding the 2015 Iranian nuclear agreement. Uliyanov said "such contacts are taking place." "We do this on a regular basis in contacts with all members of the 'six' [signatories to the Iranian nuclear deal] including Washington and Tehran. We try to promote the preservation of ta normal atmosphere around the implementation of the deal." The tensions surrounding the 2015 agreement curbing Iran's nuclear program do not yet warrant an emergency session among six of its signatories, the Russian Foreign Ministry also stated. "I think there is no need for some urgent meetings so far," Mikhail Uliyanov said. Moscow and its five partners in the 2015 Iranian nuclear agreement oppose steps that put into question the agreement's viability, Uliyanov told Sputnik. He said that Moscow and its European partners urge to "avoid any steps that could aggravate the situation." "Or, even more so, that call into question the viability of the existing agreements." 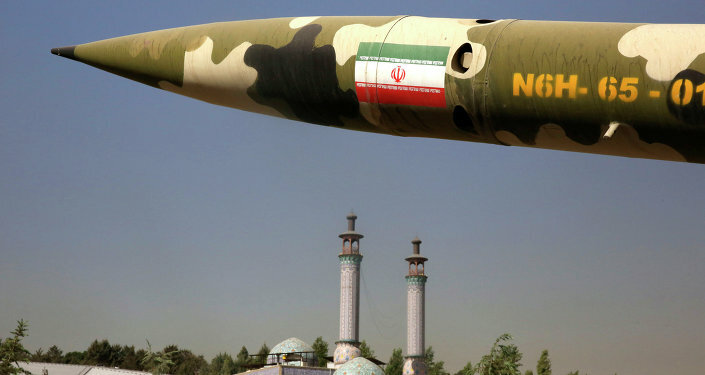 Tensions surrounding the nuclear agreement escalated after Iran conducted a ballistic missile test last week, drawing criticism from the United States, the European Union, and Israel. The US imposed sanctions against 25 individuals and entities in response on Friday. "If the [nuclear] deal falls through, the issues that seem to be successfully addressed, will rise with all their acuteness, and the situation will again become unpredictable," Uliyanov concluded. The Joint Comprehensive Plan of Action's (JCPOA) failure would not be in the interests of the United States, Russia, Iran and its regional neighbors including Israel, he argued. "No one will benefit from this."